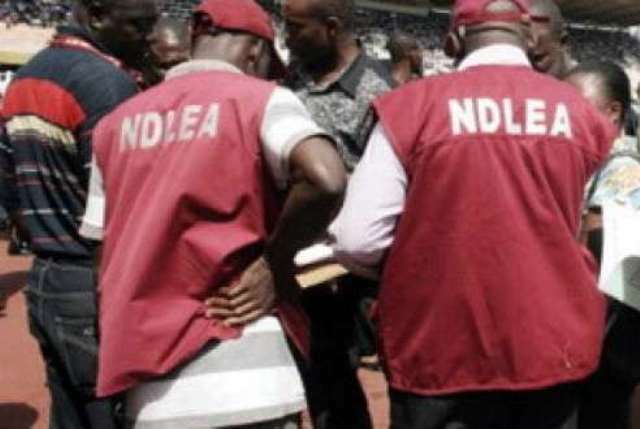 The Benue State police in collaboration with the National Drug Law Enforcement Agency (NDLEA) officers have arrested a J-5 truck with cartons of tramadol drugs. The commissioner of police,Fatai Owoseni who paraded the suspects alongside the substance disclosed that the substance which was packed in different boxes with different names upon checking turned out to be tramadol, a drug taken by youths to commit crime. packaged in different cartons believed to be dangerous drugs. Based on the report the police with officers of NDLEA mobilized and accosted the vehicle with its two occupants. According to the CP, the two suspects arrested have made useful information and investigation is ongoing. In another development, twelve armed robbers were arrested at different locations of the state, with several items used in perpetrating crimes like locally fabricated pistols, military uniforms, caps, walkie talkie and other weapons including a carton of dangerous drugs recovered from them. The CP while commending the general public for their support through timely information called on the citizens to say something when they see something.